As a talented, budding actor, Justin felt that acne scars were standing in his way. But after a few negative experiences with other area treatment centers, he was becoming disheartened and frustrated, and starting to feel this would be a lifelong problem. After speaking with the friendly staff and helpful physicians at South Coast MedSpa, however, Justin immediately noticed the difference. "At South Coast MedSpa it's not like that," Justin said, "They treat you like family here." 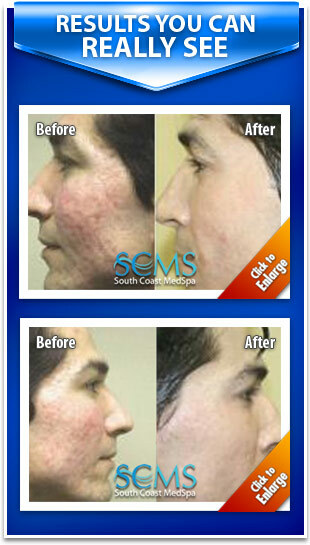 After a few successful laser acne resurfacing treatments at SCMS, Justin felt renewed. Since his treatments at SCMS, Justin has landed several acting gigs and has traveled around the world. Most importantly he met his beautiful wife with whom he now resides in the UK! Here's to you, Justin! You'll always be part of the SCMS family!